I don’t know why it occurred to me during my drive home – other than that my brain actively seeks for anything at all to concern itself with besides the business of safely driving — but I have not seen a Nerf ball in decades. An actual Nerf ball. The thing they built their company on. Not a Nerf football, not a Nerf soccer ball, not the Nerf Smashball or Nerfoop plasticy basketball thing, which are the only Nerf balls listed on Hasbro’s website. 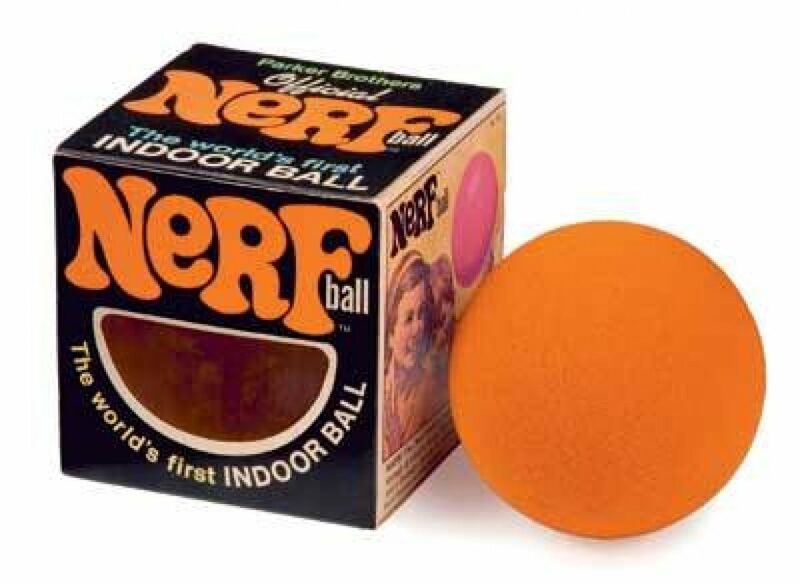 The original little grapefruit-sized foam ball that was the only thing Nerf meant when I was a kid. What the hell, Nerf? Have you no respect for your own history? Now I want a Nerf ball.